This is one of our smaller Massevallias. The plant is about 5cm across and produces gorgeous 1cm waxy, long lasting flowers in the early spring. 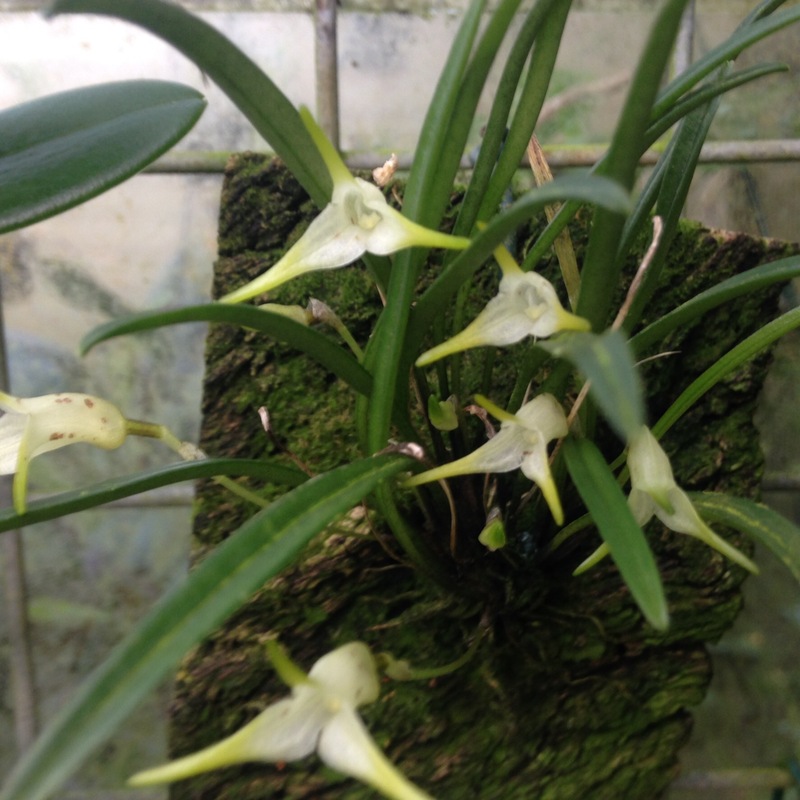 The species is native to cloud forests of Ecuador and Colombia and so we grow it cool and moist throughout the year. It seems to be particularly happy mounted on cork where its flowers grow horizontally and look straight at you.